Media Literacy and Academic Research is a scientific journal focused on the academic reflection of media and information literacy issues, media education, critical thinking, digital media and new trends in related areas of media and communication studies. The journal is devoted to addressing contemporary issues and future developments related to the interdisciplinary academic discussion, the results of empirical research and the mutual interaction of expertise in media and information studies, media education as well as their sociological, psychological, political, linguistic and technological aspects. Media Literacy and Academic Research is a double-blind peer-reviewed journal published twice a year by the Faculty of Mass Media Communication at the University of SS. Cyril and Methodius in Trnava (FMK UCM). The journal is international and interdisciplinary, inviting contributions from across the globe and from various academic disciplines of social sciences. 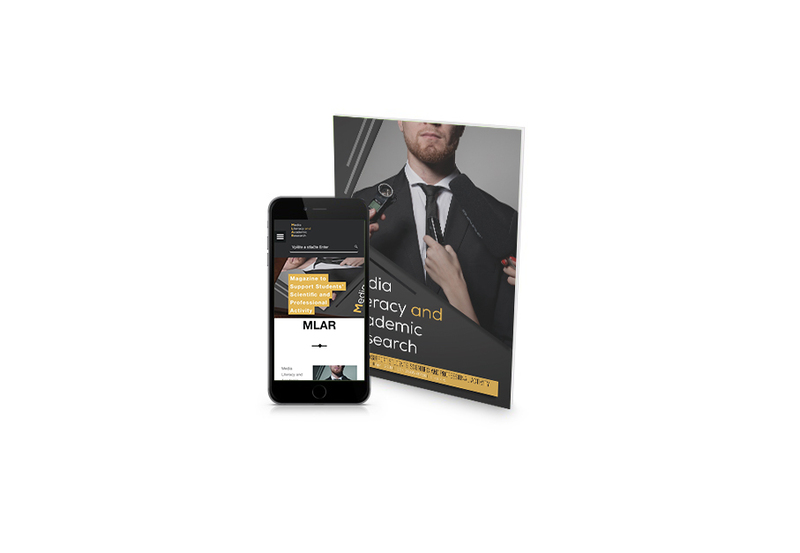 It focuses on theoretical and empirical studies, research results, as well as papers related to the new trends, practices and other academic a research areas. Also encouraged are literature reviews, innovative initiatives, best practices in online teaching, institutional policies, standards and assessment. The Journal welcomes the submission of manuscripts that meet the general criteria of significance and scientific excellence. The members of the journal´s Editorial Board are members of the European Communication Research and Education Association (ECREA), UNESCO-UNAOC UNITWIN Network for Media and Information Literacy, European Association for Viewers Interests (EAVI), The Slovak EU Kids Online Team and Media Literacy Expert Group. Submitted texts offer thorough theoretical outlines of the given issues based on the citation of appropriate information sources and use of corresponding theoretical and methodological approaches. All texts should express originality and innovation in relation to the elaborated themes and scientific problems. Published texts are written and submitted exclusively in English; all of them are selected and submitted to double-blind peer reviews by the journal’s reviewers. The editors of Media Literacy and Academic Research fully respect the scholarly prin­ciples of ensuring relevance of formal and content aspects of the published texts via the set criteria. Media Literacy and Academic Research accepts various kinds of academic writings – theoretical articles, theoretical articles combined with presentations of research results or research results including their implementation into practice as well as reviews of monographs or other publications, shorter news articles, essays and interview with renowned media theorists and scholars. All published texts are double-blind peer reviewed except for shorter news articles and reviews. Media Literacy and Academic Research has a zero-tolerance policy regarding plagiarism. The editors will evaluate plagiarism, duplicate publication requests associated with two identical or almost identical texts and use of false references and/or source documents as activities which may, in certain cases, result in unconditional rejection of the given text(s). This principle does not apply in case of occurrence of unconscious factual errors, misinformation or other deficiencies in interpretation of the data (identified by the editors, reviewers or other persons) which do not result from conscious violations of the ethical principles of academic writing. Such accidental deficiencies, however, must be fully corrected by the author(s). The editors guarantee the concerned authors that similar suspicions and/or deficiencies will undergo an appropriate and very detailed investigation. Depending on severity of the case, editors may contact the authors by sending them formal notes to demand explanations and corrections or, especially in serious cases, the texts in question may be rejected immediately. The editors accept only theoretical articles or research studies, technical texts, interviews, reviews, news articles and essays which are genuine and have not been published previously. Neither the suggested texts nor their parts may be submitted simultaneously to other scientific journals, scholarly or commercial publications. The publication is registered in accordance with international standards. Media Literacy and Academic Research‘s ISSN is 2585-8726. It is published by the Faculty of Mass Media Communication at the University of SS. Cyril and Methodius in Trnava, the Slovak Republic. The University of SS. Cyril and Methodius is an educational institution financed from the public sources. The authors and co-authors publishing their work in Media Literacy and Academic Research are, as a general rule, academics, scholars, researchers and media professionals. The author(s) of the texts – yet unpublished but already approved and prepared for publication in Media Literacy and Academic Research – have the right to present their findings or other related research outcomes by attending domestic, foreign and international scientific conferences and workshops as well as within their pedagogical or artistic activities. The editorial board expects authors to submit the final to-be-published texts with regard to the set formal criteria, i.e. consistent and correct spelling, grammar, stylistics and formalities in accordance with guidelines for authors and citation rules. It is necessary to use the template available on the journal’s website. Any fundamental changes to authorship of already submitted final texts (e.g. amendment of co-authors, change in the order of authors, copyright interests in the text) are liable to the prior consent of the editorial board. The author(s) or co-author(s) must ask for a change in the copyright data or modification of their order on the basis of a formal, written request sent to the following e-mail address: mlar.editor@fmk.sk. The editorial board retains the right to authorise or deny such changes in authorship or postpones the text’s publishing until the matter is resolved to complete satisfaction of both the editorial board and the author. The final decision depends on reasons stated in the submitted request and minds specific circumstances surrounding its administration. Authors are obliged to include acknowledgments – such as information on co-authors and research participants as well as additional information on financing or grant(s) dispensation via specific research projects – in the texts as submitted. By sending the final versions of the texts meant to be published in Media Literacy and Academic Research, the authors and co-authors simultaneously express their consent with publishing the texts in the open-access electronic archive which is available on the journal’s website and with registration of the text in electronic databases that currently process and index data related to the journal. The authors, whose texts have been published in the journal, are entitled to receive print copy of the journal free of charge. Print edition will be sent to them by regular mail. Electronic version of the journal is available via open access on the journal’s website. Authors submit their manuscripts electronically, via the e-mail address stated above. First (informal) evaluation of all submitted texts is performed by the editorial board. Formal requirements are evaluated in the context of the journal’s guidelines for authors and its focus, whereas it is possible to reject the texts or to demand their re-elaboration, amendment or revision (e.g. formal, factual, lingual, etc.) before sending them to the reviewers. All texts which are to be published in the journal have to undergo double-blind peer review process – the reviewers do not have any information on the authors’ identity as well as the authors do not know the names of the reviewers. Versions of the texts sent to reviewers do not include any data on their authors. Reviewers should assess the qualities of the texts objectively. Criteria of selection of specific reviewers include their professional orientation, research specialization, and experience in relation to thematic focus of the reviewed text and corresponding foreign language skills – all reviewers have to be able to use academic English proficiently. In case any potential conflict of interest is identified (e.g. financial, collaborative), the reviewer is obliged to inform the editorial board – the editors will assess the situation and, as a result, may appoint a new reviewer. Reviewers should inform the editors in case they identify a possible violation of the ethical principles or any significant deficiencies of the reviewed text. The editorial board consists of foreign and domestic media theorists, communication researchers and scholars. All members of the editorial board are affiliated with domestic and foreign universities, research centres, academic or professional organisations. The editorial board grants academics, researchers and professionals interested in publishing in Media Literacy and Academic Research an opportunity to submit their original, so-far-unpublished articles, researches, essays, and other scholarly texts related to the focus of the journal which have not been published publicly yet. The editors approve the final form and content of the journal. On the basis of the overall quality of submitted articles and reviews, the editorial board selects contributions to be published. The members of the editorial board supervise the scientific and professional levels of the contents published in Media Literacy and Academic Research. Before approving the final form and content of the journal, the editorial board is obliged to get acquainted with the content and quality of all texts as submitted. The editorial board is thus responsible for scientific and scholarly qualities of the journal’s issues. The texts which are to be published in Media Literacy and Academic Research are selected objectively, on the basis of quality of their form and content. The editorial board does not consider the authors’ domestic or foreign scholarly affiliations and/or commercial activities and strictly rejects any discrimination related to gender, ethnicity, geographical origin, political beliefs or religion. All types of data published in Media Literacy and Academic Research must be known in public, freely accessible and legally published; they must not be the subjects of state, banking or other confidence according to the legislation of the Slovak Republic, mainly according to the Act No. 211/2000 Coll. on Free Access to Information. Authors should use their information sources, premium academic databases, other scholarly sources and research grants in manners that exclude the possibilities of property, patent or financial conflicts of the interests related to the texts as submitted or their research focus. By submitting their texts, the authors also confirm that the manuscripts as submitted have not been published elsewhere and are not being considered for publication or reviewed by other publisher(s). If a published text (or manuscript intended for publication) violates the ethical principles or, eventually, if the entire texts or their parts are proven to be plagiarisms or consist of texts already published in the past or simultaneously in several other specialised publications, the authors and co-authors take on full responsibility. However, the authors are given opportunity to react to such allegations. The author, whose contribution is selected for publishing, takes responsibility over the fact that the text does not breach the existing legislation, especially in the field of copyright. By submitting their manuscripts, the authors approve that at the moment of offering their work to be published in Media Literacy and Academic Research they had legal access to the data used and provided the complete list of co-authors, used grants, or other binding forms of financial and material support associated with their scientific and research activities. In case of a reasonable suspicion suggesting violation of the ethical principles, the editors retain the right to further consider the text in question and may suspend or completely cancel its planned publication. If similar inadequacies directly result from the editorial processes or improper handling with the provided information, responsibility lies on the side of the editors. In this case, the editors are obliged to make corrections in an appropriate way (e.g. by publishing corrections, apologies to the authors, and properly edited electronic version of the journal in PDF format freely available for download online). The editors consistently mind the need for avoiding similar situations and process the data as received carefully, without making unauthorised copies or using the considered manuscripts in any inappropriate way. Acceptation of final versions of manuscripts is preceded by a detailed overview of the level and extent to which the author(s) express both willingness and ability to respect the ethical principles associated with academic writing and publishing. The editorial board accepts and further processes (evaluates, appoints to the reviewers, publishes) only scholarly texts which respect the ethics related to academic and scholarly writings and use bibliography and information sources (citing, paraphrasing, referring to other authors) properly, in accordance with citation rules suggested and approved by the editorial board. The citation rules are available here. If necessary, before accepting the text, the editorial board may demand a written statement signed by the author(s) confirming that the text has not been published yet and has not been simultaneously submitted to another publication, either print or electronic, regardless the language in which it was originally elaborated.